GO Airlink NYC is an official permit holder by the Port Authority of New York and New Jersey , authorizing us to load on the inner curb just outside of baggage claim. Passengers won't have far to walk to reach us. Companies without this official status are not legally able to offer this service. 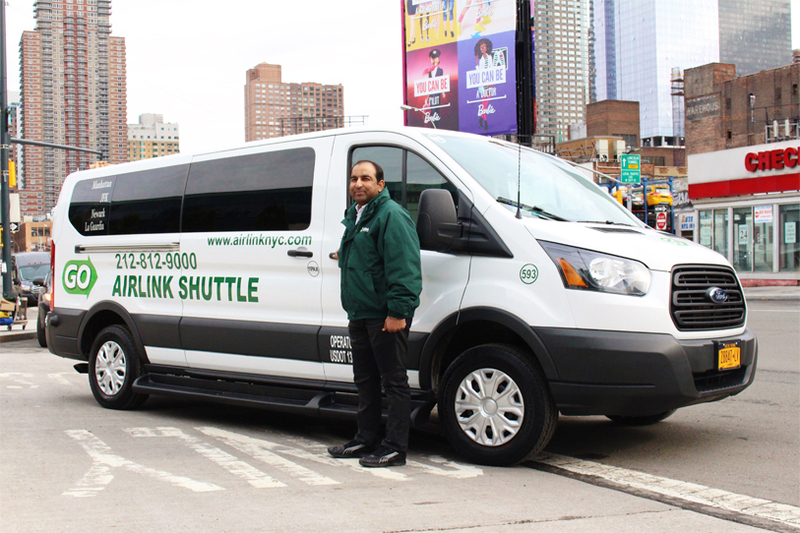 GO Airlink NYC provides on time, economical and safe share-ride van transfers, door-to-door in each direction between Manhattan and JFK, LaGuardia and Newark airports, 24 hours a day, 7 days a week. We serve hotels, neighborhoods, major transportation terminals and corporate offices with a fleet of modern, comfortable vans operated by a team of professional, trained and courteous drivers who know the City. GO Airlink operate 24 hours a day, 7 days a week!! When you arrive at the airport, we provide customer assistance at the Ground Transportation Desk in every terminal in JFK, LaGuardia and Newark. Proceed to the Ground Transportation Desk and present the GO Airlink NYC voucher you printed from our website. We also have FREE courtesy phones in every terminal at the baggage claim area. How does Share-Ride shuttle work? If you are going to the airport: The driver picks up passengers in order from the destinations furthest from the airport to the closest. Your pick-up time will depend on the relationship between your location and how many other share passengers will be picked up and their respective locations. If you are the furthest away from the airport, you will be picked up relatively early to your flight time and will have to visit other locations to pick up share passengers before arriving at the airport. We guarantee that you will arrive to the airport on time. 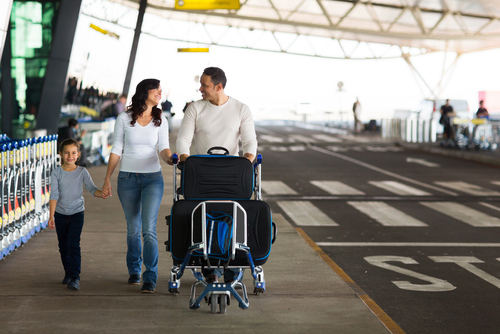 If you are leaving from the airport: The driver picks up passengers by terminal. Please understand that if you are at the first terminal for pick up, you will have priority seating in the vehicle but it may take time to travel to the other terminals to pick up share passengers before leaving the airport. After all of the passengers have been picked up from their respective terminals, the driver will drop off passengers in order of the closest destination point to the furthest. If your destination is the furthest away from the airport, you will have to wait for the other share ride passengers to be dropped off at their respective destinations before arriving at your final point. We strive to provide excellent service while transporting our passengers to their destinations in the most efficient and timely manner. Please keep in mind that we cannot control traffic, flight delays and other unforeseen circumstances that may increase travel time. The share ride option is best for passengers who want the least-expensive form of travel and do not have a time constraint. For customers looking for a less time-consuming option or traveling in groups, we suggest taking our private SUV or sedan car service.